Team Little Owl was established in memory of three-year-old Allie Fisher of Overland Park, KS. 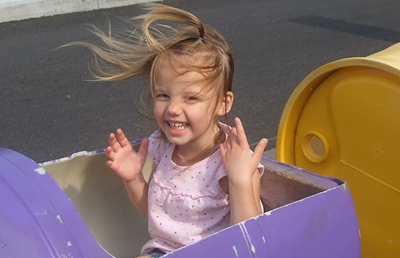 Allie died of a rare brain cancer, gliomatosis cerebri, in 2013. After her death, many of Allie’s family and friends felt compelled to lend a hand in the fight against these terrible pediatric brain tumors. That network has expanded throughout our community, and the outpouring of support has helped Team Little Owl raise thousands of dollars for brain cancer research. Team Little Owl is an all-volunteer organization committed to raising awareness and funds to research better treatments for children with brain cancer. May there be a day when no child or family has to suffer such a fate. Team Little Owl is a donor-advised fund administered through the Greater Kansas City Community Foundation. All donations to Team Little Owl Foundation are tax deductible.